Today is Fran and Oana’s one year wedding anniversary and I’m so excited to share their wedding in Paris with you! I have photographed so many weddings over the course of ten years. But every now and then I photograph one that takes the world ‘beautiful’ to a new level. 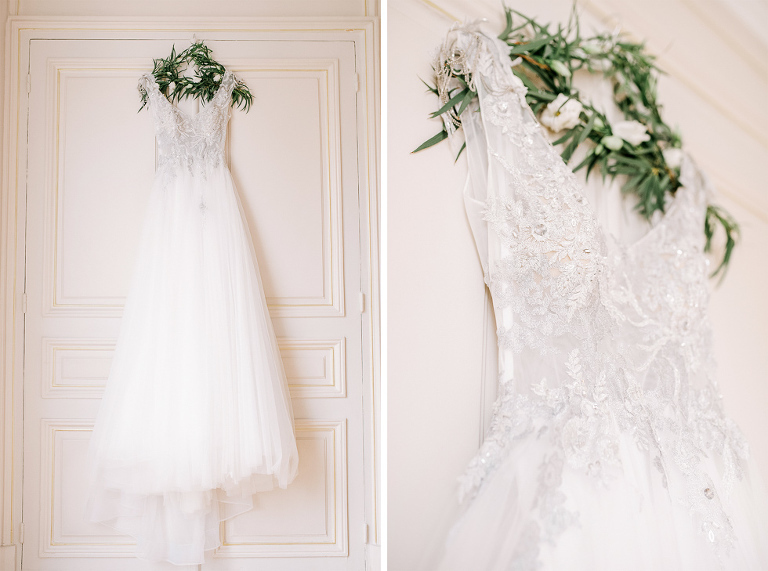 This amazing wedding in Paris was one of them and I was so grateful to be part of. There were many happy and emotional moments throughout the wedding, and you’ll see this in the photos. If there is one thing that I remember vividly from that day, it was their first look. For those few minutes, everything was just about the two of them. Fran and Oana, thank you for the gift of your friendship and for giving me the opportunity to capture your wedding memories in pictures. Thank you so much for trusting me and for giving me such a big role on your wedding day. I love you both from the bottom of my heart. Happy one year anniversary. I wish you many more years in love, honesty and companionship. Am ales sa ne casatorim in Normandia pentru ca e locul unde obisnuim sa mergem de fiecare data cand avem o duminica libera. Ne-am dorit o nunta cu familia si cei mai apropiati prieteni si pentru ca ne vedem asa de rar cu totii am petrecut 4 zile impreuna in aceeasi locatie. Ce amintiri frumoase ne-au ramas! [EN] It is so emotional to be sitting in the very same corner of the bed where a year ago I wrote my wedding vows. Now, we are alone in the castle, and unlike the last year, it is so quiet. It was at this place a year before that we were surrounded by all the most precious people in our lives, and the castle was bursting with the joy, music, and laughter. I remember looking through the window and seeing the boys arranging the place for the ceremony, our mothers making the wedding cake, and the girls decorating the reception hall. As there is no restaurant in the castle, it was our pleasurable duty to take everything out from the living room and prepare it for our dream wedding. We would have never succeeded without all these people to help us and share our happiness. How relaxing and beautiful was that weekend because of them! We will hardly have many so special and emotional days for the rest of our lifetime. In the moments before I married Mircea, I felt a perfect inner peace, sure that it was the best decision of my life. He is the most altruist, modest, loving and sweet man I ever met. Even if I said “yes” after only a few months, I knew that we’re meant to be together, and I had trust in us. Since our first encounter, his only concern has been my happiness, and it is still like that. Even a thought of having kids who look like him makes me instantly happy. Normandy is the place we used to visit almost every Sunday and slowly got to know each other. Being so special for us, we chose it to spend four days there with our family and friends. What beautiful memories we cherish from those days! It is said that we attract people that are like us, so, she fell in love with Beni, whom she resembles so well. I am so happy for her, Andreia deserves a guy that is melting after her. I hope you like the photos as much as I do! Looking at this lavender wedding, Giulia and Beni’s pictures put a smile on my face. How else could you look at the photos of such incredibly beautiful and kind people? I am filled with joy every time I meet people that love so sincerely like they do. Throughout the wedding they were relaxed and natural, knowing how to truly enjoy their special day. Hugs, and looking forward to seeing you again soon! With Theodora I think we remained friends ever since. The wedding of these two cheerful and friendly kids will remain in my heart for a long time. Most of the time I come home from weddings so happy, not because it was a perfect wedding, but because I had a great time. But their wedding was both perfect and with an amazing ambient. It was filled with youth, laughter and cheer, with many surprises from friends but also from the bride and the groom. There was always something beautiful and touching happening.